(February 25, 2019) Bootstrap v4 has been out for a long time, and it&apos;s high time we here in the AkashaCMS project moved forward. I&apos;ve just gone through the exercise of converting akashacms.com to use Bootstrap v4, and should therefore document what I had to do. It wasn&apos;t terribly hard but I think it was harder than necessary, and will study how to streamline the process. A purpose of a system like AkashaCMS is simplifying the work of content authors to more efficiently write their content. The task of simplifying work is multi-faceted and can be taken in many different directions. The task at hand was to collapse the <figure>/<img> combination into a simplified tag. This combination is the preferred way of presenting images, especially when there&apos;s to be a caption. It&apos;s now required that outbound links to sites that pay money (e.g. affiliate marketing) be marked with rel=nofollow. Your visitors might feel comforted being informed that a link leads to an external site, and perhaps to know what site that is. (September 15, 2016) Mahabhuta can now, with its version 0.5 release, emerge from the shadows of AkashaCMS and serve a useful purpose in its own right. 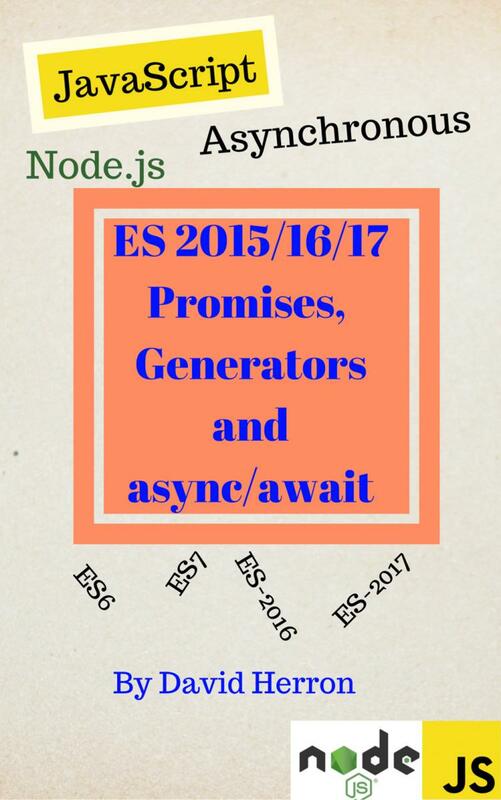 DOM processing in the style of jQuery is now possible in Node.js server applications. The update makes it more feasible to integrate Mahabhuta into applications other than AkashaCMS, including integration into Express applications. (November 13, 2015) Supposedly selling products via a website and having a shopping shopping cart requires a dynamically generated website using a content management system. But, there are online store services which can be added to any website, even ones built as static HTML files. (September 27, 2015) It occurred to me, potential AkashaCMS users need a helping hand to start a blog. (June 7, 2015) In the book I&apos;m writing now, I want footnotes. Therefore repurposing existing code was the order of the day. (May 19, 2015) The initial version of AkashaEPUB demonstrated the need to hugely simplify book configuration. That&apos;s been done. 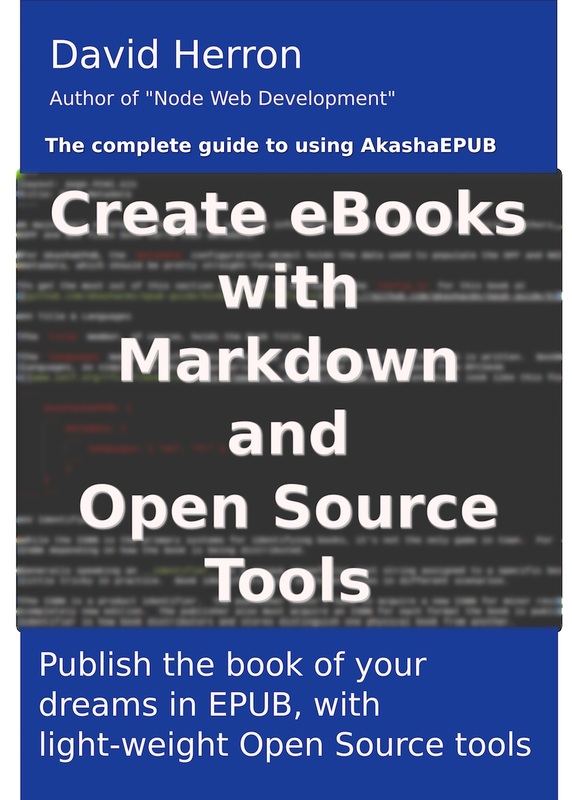 (April 28, 2015) Achieved a major goal with AkashaEPUB - the guidebook has been successfully uploaded to several online eBook marketplaces. (April 20, 2015) Since the last news in February, I had the crazy idea to repurpose AkashaCMS to support building EPUB&apos;s. That&apos;s now finished, and a guidebook has been written. (Feb 25, 2015 12:07 PDT) Major amount of work went on the last two weeks, restructuring AkashaCMS to allow pluggable rendering chains, using it in a Grunt workflow, and generate EPUB files. (Feb 14, 2015 12:07 PDT) Nearly a year in the making, with v0.4.x AkashaCMS is greatly improved, faster, uses server-side jQuery-style DOM manipulations, and more. (Feb 14, 2015) The Boilerplate team just released version 5, which has now been rolled into akashacms-theme-boilerplate. (Feb 12, 2015) Since Boilerplate forms the basis for AkashaCMS theming, and since they just released version 5, it seems necessary to hold the 0.4.x release to integrate the latest Boilerplate. (Feb 11, 2015) On the cusp of its 0.4.x release, AkashaCMS creator David Herron announces the ownership transfer of AkashaCMS to the new AkashaCMS organization. (Feb 10, 2015) They say every content management system becomes a blogging platform. Whether or not that&apos;s true, it&apos;s just become true for AkashaCMS. A new AkashaCMS plugin allows the creation of multiple blogs within an AkashaCMS website. (2014-06-01 16:43) Since last weekend I&apos;ve been working on Mahabhuta, the new element-oriented template system using jQuery&apos;s API, in AkashaCMS. The goal was to verify that it&apos;s useful by attempting to implement some important things with it. I&apos;m happy to say that Mahabhuta is living up to what I hoped. I&apos;ve been able to reduce complexity in AkashaCMS and the path is clear to perhaps removing the Kernel template engine, because the functionality I sought with Kernel is now available via Mahabhuta. (2014-05-27 14:47) I&apos;m about to release an AkashaCMS v0.3.x update that represents a major rewrite of the rendering system, and the addition of support to use the jQuery API on the server side to manipulate rendered pages. Both of the changes are major, and take AkashaCMS to a new level of flexibility. First, Website authors will be able to use any combination of template engine on each page, giving better flexibility over page formatting. Second, the capability to use server-side jQuery calls means a different approach to inserting content into the page (versus traditional templates) plus we can implement filters to make broad-based content tweaks. (2014-05-01 19:37) I hate the typical user experience around viewing and distributing PDF files (or other document formats). Usually we&apos;re forced to download the file to our local computer, then view it using a separate viewer. It litters the Downloads directory with old files we&apos;ve downloaded, and it&apos;s somewhat jarring to find yourself suddenly having to navigate to a separate viewer application. Further, an external viewer probably doesn&apos;t work well on a mobile device where the operating paradigm is quite different from desktop computers. (2014-04-15 01:52) Today&apos;s web is supposedly about fancy software on both server and client, building amazingly flexible applications merging content and functionality from anywhere. What, then, is the role of old-school HTML websites? In particular, why am I wasting my time building AkashaCMS and not building websites with Drupal? (2014-04-15 00:44) I&apos;m pleased to announce that AkashaCMS has reached version 0.3.0. This version has been over a year in development and isn&apos;t quite what I&apos;d intended, but it is a result of the actual needs during the past year. The primary change was to architect AkashaCMS to support plugins, a move which allowed the creation of several useful plugins.